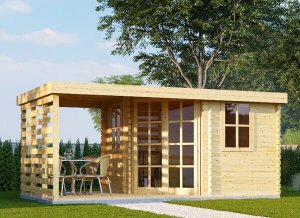 Our 8 x 8 Wooden Shed Chi is a roomier version of the 8 x 8 Shed Beta but with additional windows to maximize the open feeling. This beautiful space fills with natural light and also works well as an art studio, a peaceful yoga space, or a private hideaway to enjoy a cup of coffee and a book. 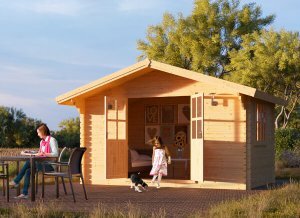 This size shed is compact while versatile enough to house a variety of items. Door (width x height) 3'9" x 6'7"